The 1.7-metric ton CX17C delivers a dig depth of 7 ft. 3 in. and provides digging forces of 3,490 lbf. 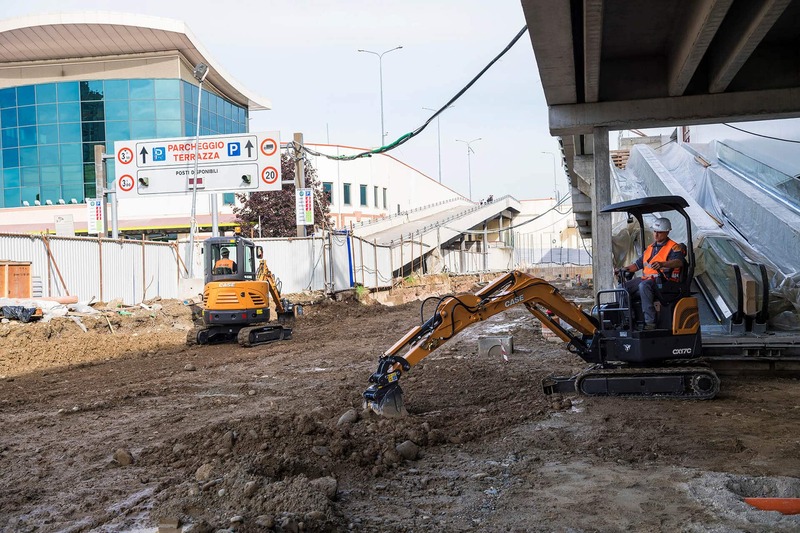 resulting in strong excavating performance while making minimal impact to the ground below. With standard auxiliary hydraulics and backfill blade, an easily transportable size and a zero-effort Tier 4 Final solution, it's a versatile addition to up-and-coming companies, landscapers or any contractor looking to easily expand their fleet. 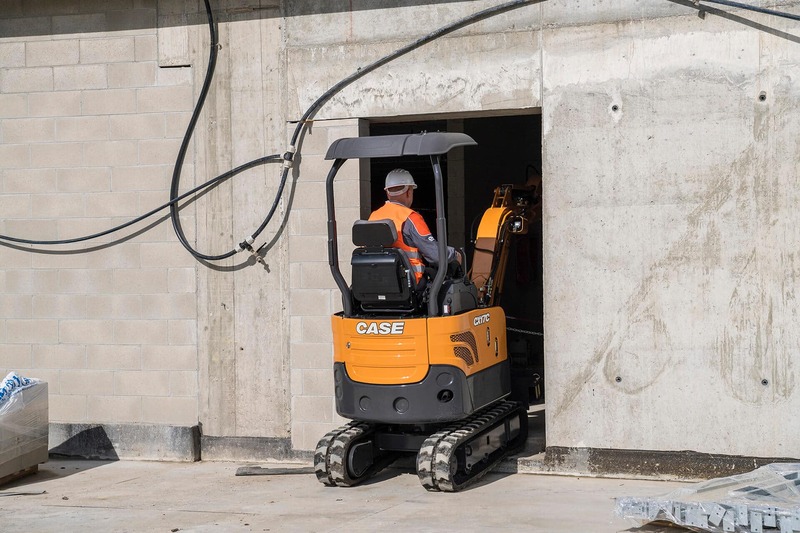 The CX17C features a retractable undercarriage, variable-width blade and low-profile canopy height of only 7 feet 7 inches, allowing it to fit through gates, garages and entryways. With a trailer-friendly operating weight of 3,910 lb. it can be transported without special licensing or towing equipment. A zero tailswing design and adjustable boom that can be offset to the left or right enable the CX17C to easily operate against, parallel to and around obstacles. 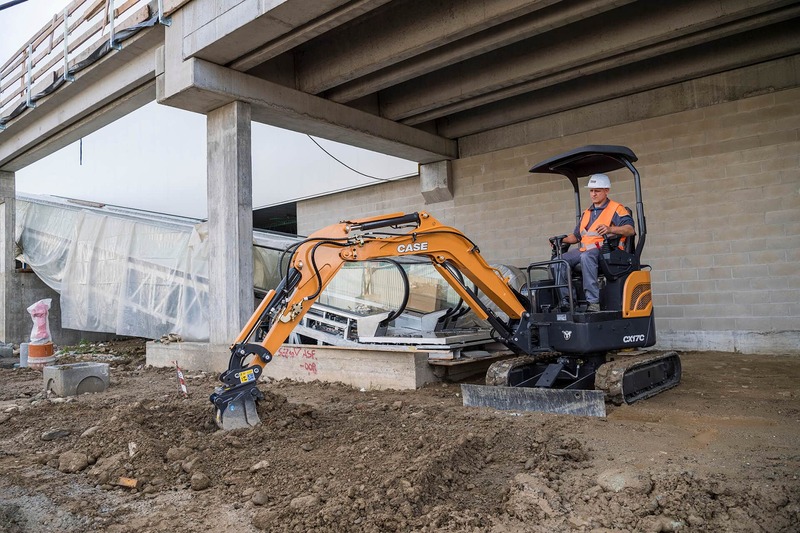 Auxiliary hydraulics, proportional controls and a hydraulic backfill blade come standard making the CX17C a powerful multiplatform machine for use with hammers, augers and other attachments, and the Automatic 2-Speed Travel improves travel across any terrain. *Always check vehicle capacities and state or local laws for applicable roading regulations and requirements. 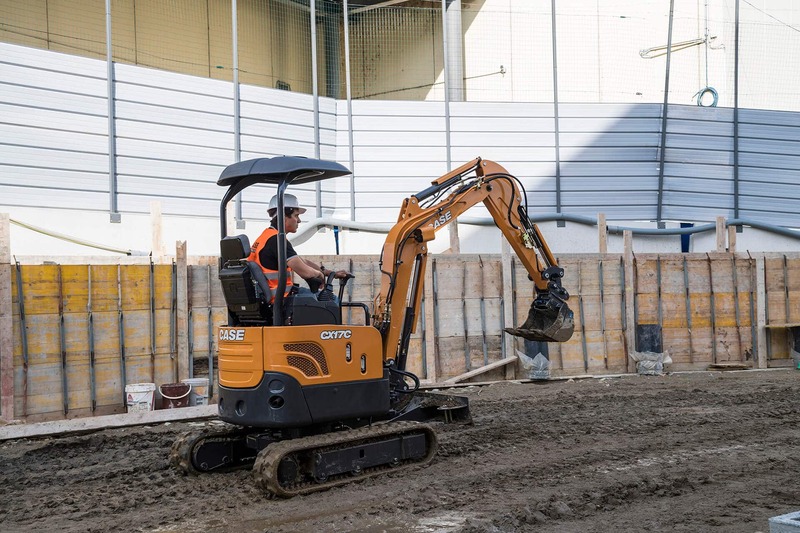 The Tier 4 Final CX17C features a fuel-efficient, 16.8-hp engine, providing excellent power with minimal fuel use for more productivity per tank. A spacious operator environment features an adjustable seat and ergonomic pilot controls for improved comfort and with the standard pattern selector, operators can quickly switch to the style they prefer. The two-post TOPS/FOPS canopy design allows for excellent visibility of the bucket, into the trench and all-around the machine. 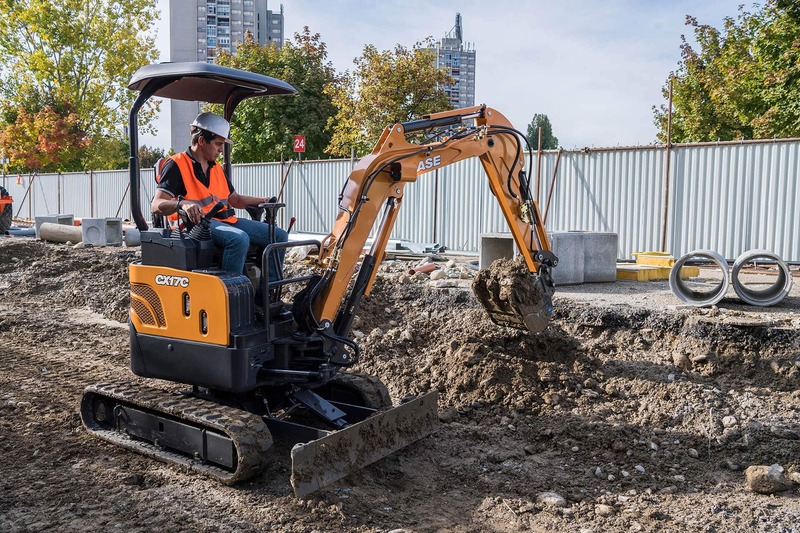 Ground-level serviceability is at the heart of C Series mini excavators to help owners maximize the life and performance of their investment. All main service fills, filters, gauges and grease points easily accessible from the ground.